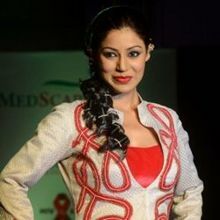 Debina Bonnerjee is an Indian Television Actress. She was born in Kolkata, India on 18 April 1983. She become known through her role in Ramayan as Sita airs on NDTV Imagine with her husband Gurmeet Choudhary. Her Debut Television show was Mayavi in Tamil (2005). Recently she appeared in Khatron Ke Khiladi air on Colors with her husband. Debina was born in Kalkata. She was grew up and completed her studies in Kolkata. In her Childhood she attend dancing and Singing classes. First she appeared in Tamil Television Series name as Mayavi. After Some time she appeared in Ramayan airs on NDTV Imagine with her husband Gurmeet Choudhary. Her Role was highly appriciated by every one in the Industry and She will become known because of her Acting. 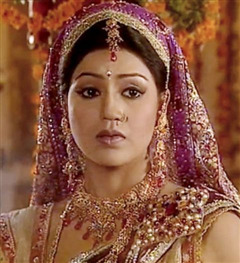 Debina after become known in Television through her role in Ramayan as Sita. After that she worked in many television show and gain much popularity through her work in Entertainment Industry. She also worked in one of the popular show chidiya Ghar air on Sab Tv as Mayuri Gomukh Narayanan, her acting in chidiya ghar is also apriciated. Why Book Debina Bonnerjee Through ArtiseBooking?